Ah, summer is finally here. Despite what the calendar says, for many Americans the first day it truly feels like summer is July 4th. Summer is now in full swing, so enjoy these fitting tunes at your Independence Day celebrations. Jessie James’ ‘Boys in the Summer’ is a perfect summer anthem. 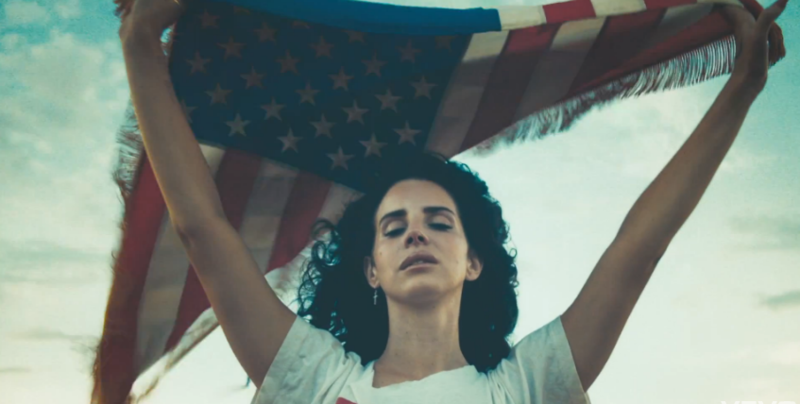 Lana’s devoted many of her songs to celebrating the joys (and darkness) of being an American. From ‘National Anthem’ to ‘Cola’, ‘West Coast’ and, of course, ‘American’ – you can’t really go wrong with Lana crooning about her favorite country. Kesha is going to love you til you’re seeing Stars and Stripes blasting this song from your Gold Trans Am. Okay, perhaps not as laudatory as Lana’s Americana themed tracks – but ‘Hollywood’ from Marina & The Diamond’s The Family Jewels still manages to capture the essence of Hollywood, a staple of American society. The Austiralian based boyband sings about their love of American girls in this catchy tune. Time to ‘Work’ with Iggy Azalea on this track about her moving to Miami in pursuit of her dreams. What’s Fourth of July without fireworks? You can’t have a list of pop songs celebrating America without ‘Party in the U.S.A.’ making an appearance! Remember this tune from 2008? Now’s the most appropriate time to dust it off and give it a good spin. What’s your favorite songs to listen to on July 4th? Leave a comment below or tweet it to us @POParazziorg! Have a happy fourth!